Though Avengers: Infinity War continues to be the talk of the town – particularly with the so-far untitled Avengers 4 looming over the horizon – Marvel Studios took a moment just yesterday to spotlight Ant-Man and the Wasp, its third and final comic book movie of 2018. Yes, after Black Panther opened its doors to Wakanda back in February (and conquered the global box office), the MCU reached its first major culmination in Avengers: Infinity War, which left viewers on a knife-edge as the eerie credits began to play. True to their word, Joe and Anthony Russo raised the stakes quite considerably for their Herculean event movie, so it’s fair to say that Ant-Man and the Wasp is the light-hearted antidote – get it, ant-idote? – to Infinity War‘s mind-melting finale. Indeed, on the heels of yesterday’s rip-roaring trailer, ComicBook.com may have uncovered new details relating to Scott Lang’s devious escape plan. And it has something to do with his insect companions. Remember, not unlike Clint Barton (AKA Hawkeye) before him, Paul Rudd’s pint-sized hero was placed on house arrest soon after Captain America: Civil War, leading many to wonder how, exactly, he escapes confinement to buddy up with Hope van Dyne (Evangeline Lilly) and her father, Hank Pym (Michael Douglas), once more. 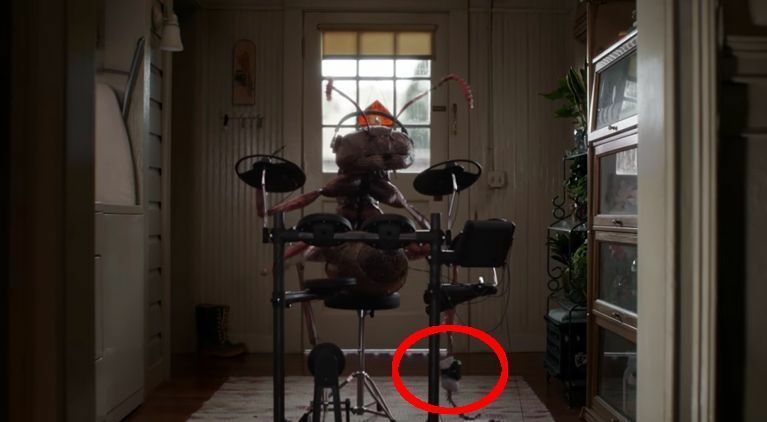 Turns out it may have something to do with Scott’s friendly ant colony, as the sequel’s most recent trailer included a shot of an overgrown insect banging the drums. Peer close enough though and you’ll notice that the amicable ant appears to be wearing some form of security tag – a sure-fire sign that he/she’s part of Scott’s ruse to break out of jail? We’ll find out very soon. Expect Ant-Man and the Wasp to scurry into theaters on July 6th, at which point we may be acquainted with the newfound hero of Avengers 4.